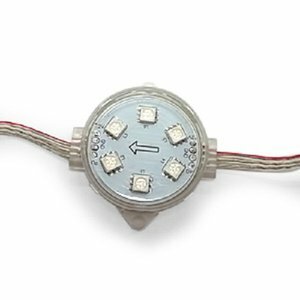 Round LED module kit (20 pcs.). Full color, WS2811. Waterproof. SMART controllers are used for controlling SMART modules and creating various dynamic animated video effects. LED module – 20 pcs.